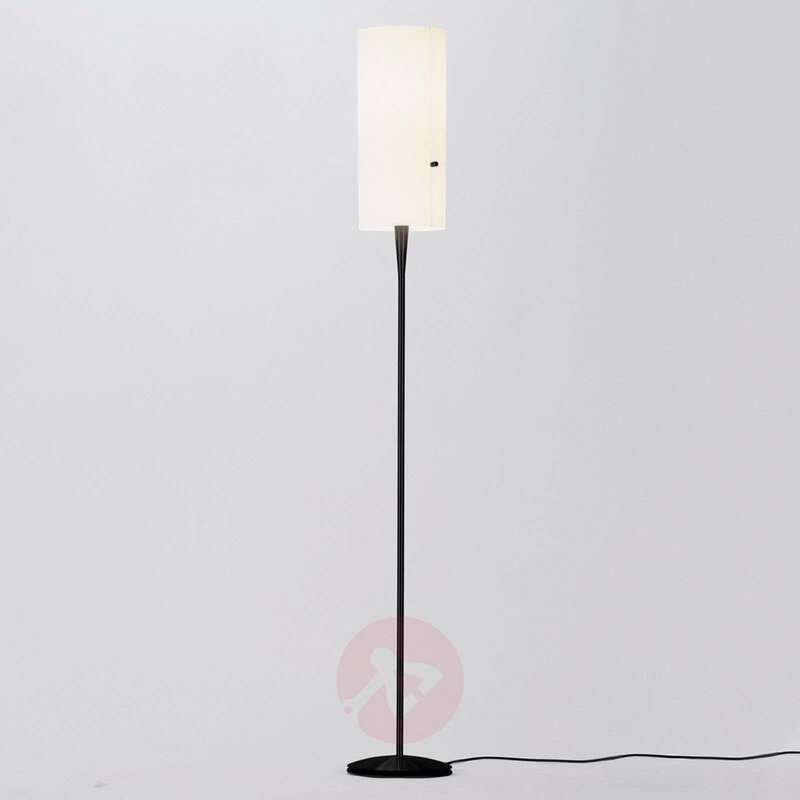 Club comes in the classic floor lamp shape and represents an elegant light product from the Swiss designer Jean Marc da Costa. 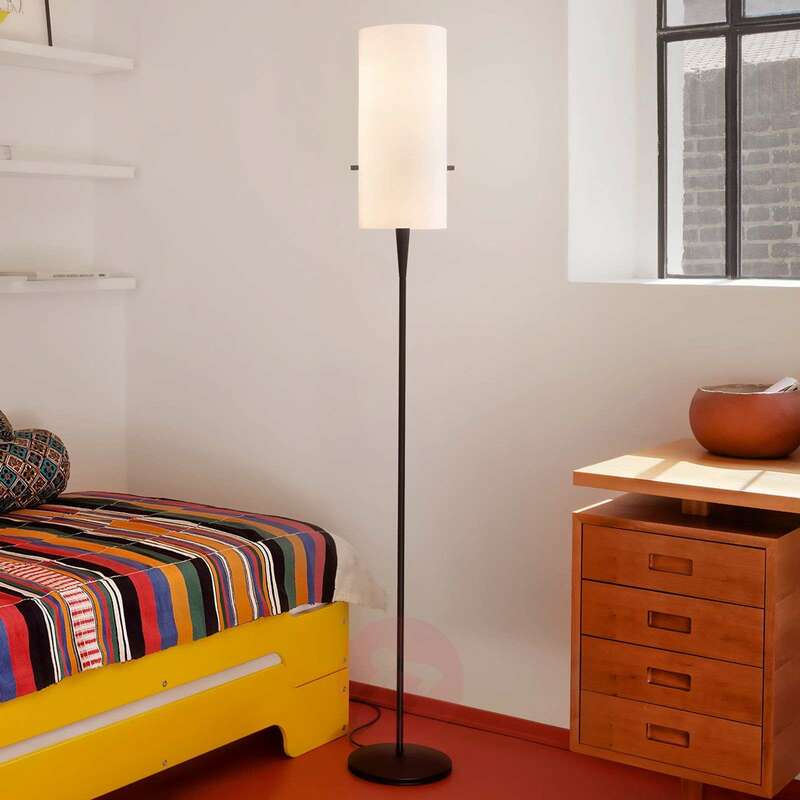 The black painted aluminium base of the floor lamp stands in contrast to the cylindrical lampshade, which is made from fabric-lined foil. The two black knobs protruding from the sides of the lampshade do not just serve to break up the plain lampshade; they also offer technical functionality. One button is used to steplessly dim the light, whilst the other turns Club on and off. You won't notice it from the outside, but the inside of the lampshade houses not one but three light sources, which can be operated fully independently of one another. The second knob can be used to operate the bulbs shining downwards separately from the upward shining light. It means that a range of lighting scenarios can be created as a result. The light is emitted upwards, downwards and softly filtered through the white chintz. At first glance, Club may look like a modest lamp, but a closer look reveals a truly designer lamp. The cable storage in the base is completely hidden from view but extremely practical – it prevents excess cable causing a trip hazard. 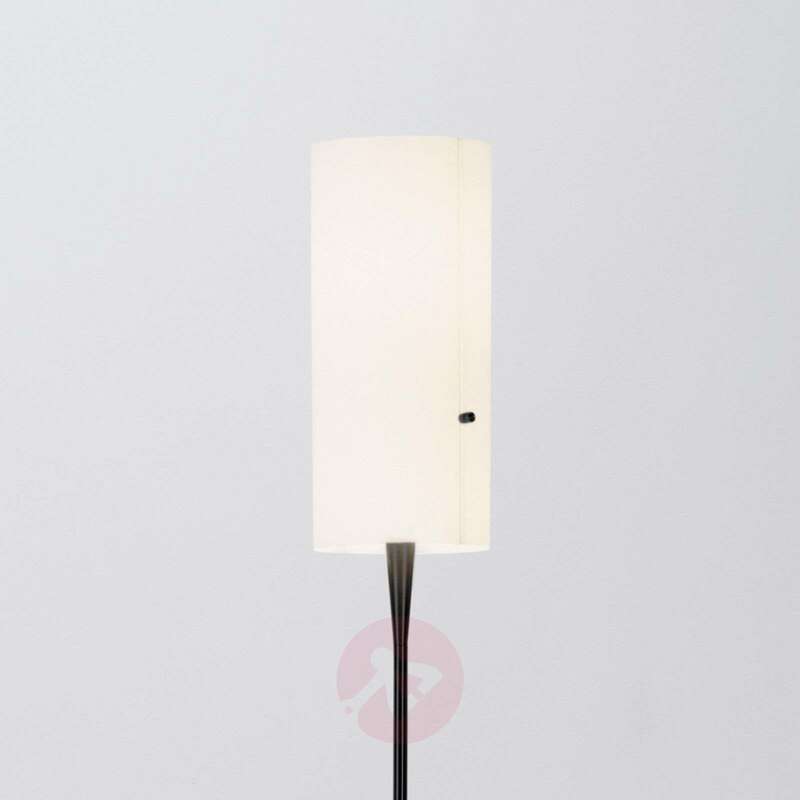 The flame-retardant lampshade material offers further safety in the home.